It is the lesson plan of Rejection that withholds praise for another for fear that the other will outshine the self; it is important for all with this lesson plan to recognize that the self often is critical of another or the self works doubly, contributing doubly that which another contributes, so that the self can outshine the other. 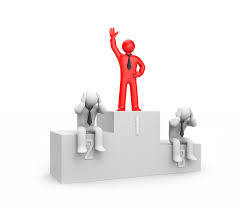 It is to recognize that the lesson plan demands this behavior, drawing forth from within the self, rejection of the self if the self does not out-perform others - it is an amplified, more refined response to the competition found within the lesson plan of Denial. To understand this lesson plan, one need only look to Te' Auna’s behavior; for many years she worked many, many, many extra hours in order to feel equal to others. It was only once she began to feel equal that she redoubled her efforts so that she could feel better than; this feeling came and left, causing the self to place more and more energy into the activity that was needed to achieve the goal. It was the rejection of the self that enabled this behavior – one where the self gave of the self completely in order to achieve the goal. Had Te' Auna rejected others rather than the self she would not have accomplished what was accomplished. The rejection of the self, however, was in the outer bodies – these energies informed others that they needed to draw forth lesson that rejected Te' Auna as well, to show her the mirror – that the self had rejected the self first and that these energies attracted others, who would in turn reject her. To understand this lesson plan is to recognize that the self always rejects the self first; it is as with Separation – the self separates from the self - the Higher Self, first – prior to separating from another. Recognition that love of the self is impossible as long as the self is rejected is necessary for the student who walks the path to healing. “To embrace the self,” means to have no doubt that the self is capable. To love the self without condition is necessary prior to loving another without condition. Accepting the self universally can only be done once the self has embraced the self completely. Loereve: How is Shame with others of Shame? It is dependent upon the conclusion that has been drawn by each. If one views the other as competition then the friendship will be one that is guarded; the self will not be open with the other for it understands the penalty for doing so could be that the other has now gained possession of the self’s weakness. If it has been determined that the other is not a competitor, that in fact the other is a supporter, then it is an easy relationship for each knows the capabilities of the other. The more that the self is revealed the closer the relationship could become, for typically it is these two that have damaged others – each understands the other completely, whereas other lesson plans are unable to do so, typically. Am I understood? How is the self that is damaged by another better than the other, you say? Well, of course, the answer is that the self would never treat another the way that the self has been treated. The self has determined that the self is better than others. When the self is informing another of another’s behavior, the self restates the behavior of the other, so that the self appears to be more damaged, so that the self appears to be the victim, so that the self’s culpability appears to be nominal or non-existent. This is all so that the self can appear to be better than the other. The self appears to be better than the other because the self would proclaim loudly to all that will listen that the self would never behave in such a way.